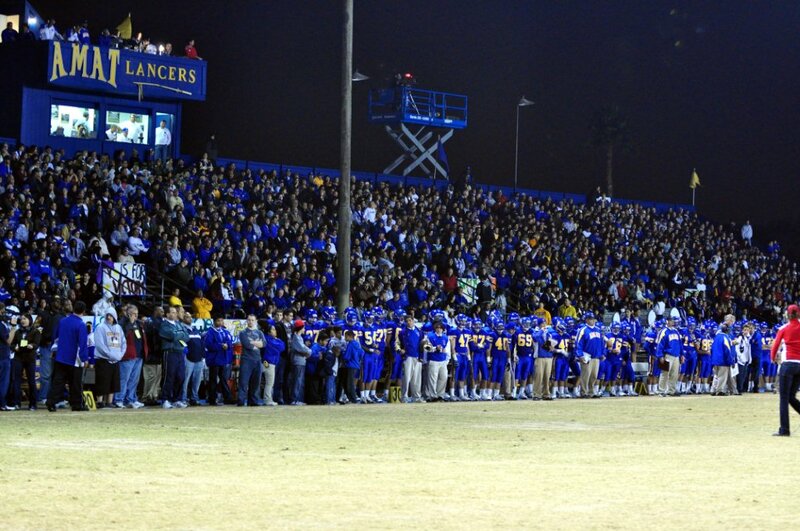 The expectations for Bishop Amat and coach Steve Hagerty are tremendous with Calpreps ranking the Lancers No. 1 in California, ahead of St. John Bosco and Corona Centennial. There is no better receiving/secondary tandem anywhere with Tre Sidney and Tyler Vaughns, but there still remains one question, when will the Lancers welcome back senior RB back Torreahno Sweet? There is no doubt all the lofty projections come with the understanding that Sweet is on board. 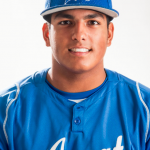 But for some mysterious reason that nobody at Amat will explain, Sweet, who played baseball in the spring, is technically still not on the team. Players and sources I’ve spoken with believe it will be ironed out, but the clock is ticking. When her high school career is finished, Lugo could go down with the best in San Gabriel Valley history. Her numbers might not resemble those from previous era’s when the pitching distance was shorter and when hitters weren’t nearly as talented as those today thanks to the increasing influence of travel ball. But here’s the deal, you don’t get offered a full scholarship as a freshman pitcher to now two-time defending NCAA champion Florida without being something special. 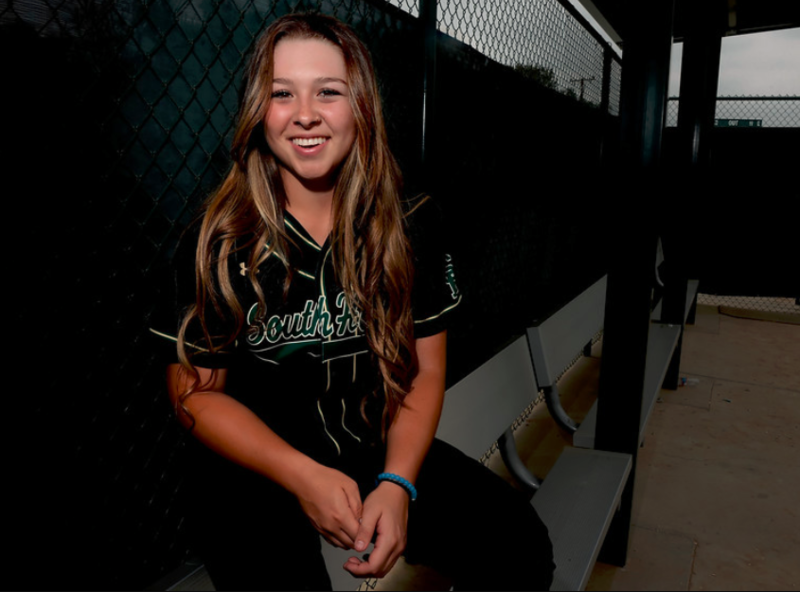 Lugo, who committed to the Gators as a freshman when she earned all-area first-team honors is the 2015 Tribune softball player of the year after leading South Hills to the CIF-Southern Section Division 2 semifinals. Lugo also was selected to the Division 2 first team. On a team that was somewhat offensively challenged, Lugo carried the load, finishing 15-6 with a 0.73 ERA. 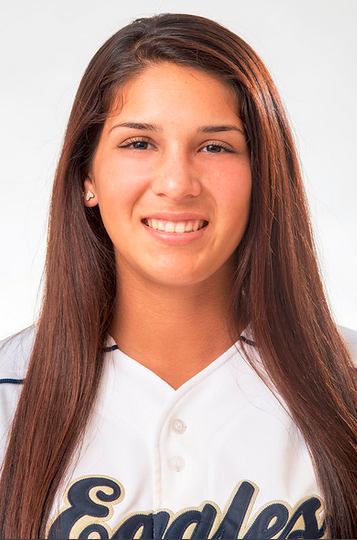 She completed 13 games with seven shutouts and the power pitcher struck out an area-leading 263 in 143 innings. Lugo threw three no-hitters, which included a 1-0 win over Aliso Niguel in eight innings with 16 strikeouts. 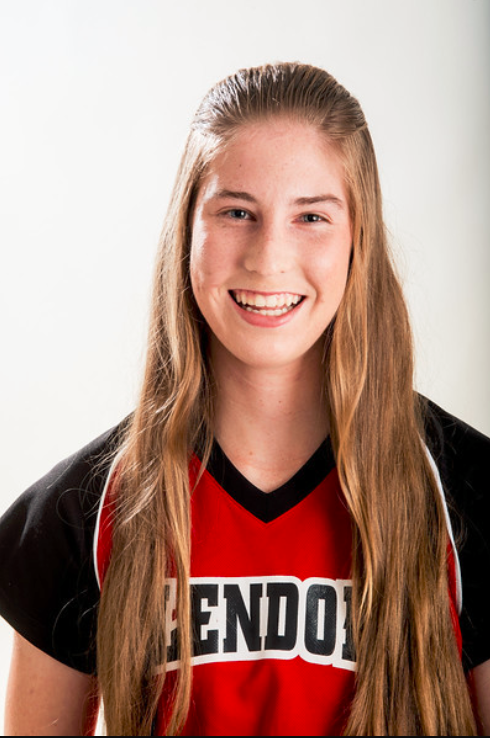 She also had another eight-inning no-hitter in a 3-1 win over El Segundo in which she struck out a season-high 19. She struck out 10 or more in 17 games. In the playoffs, Lugo stood up to the challenge. In the Huskies’ 2-1 second-round win over Villa Park, she pitched all nine innings with 15 strikeouts. 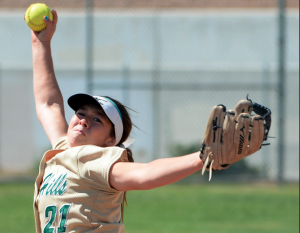 In the 6-1 quarterfinal win over Agoura, she gave up just two hits and struck out 11. Even in defeat, she was tough, losing 2-0 in the semifinals to powerful Mission Viejo, who at the time was undefeated and ranked No. 1 in the country by USA Today. Lugo went all seven innings giving up just one hit and one earned run while striking out 13 Diablos. Fortunately for South Hills, Lugo has two more years to master her craft before saying goodbye. 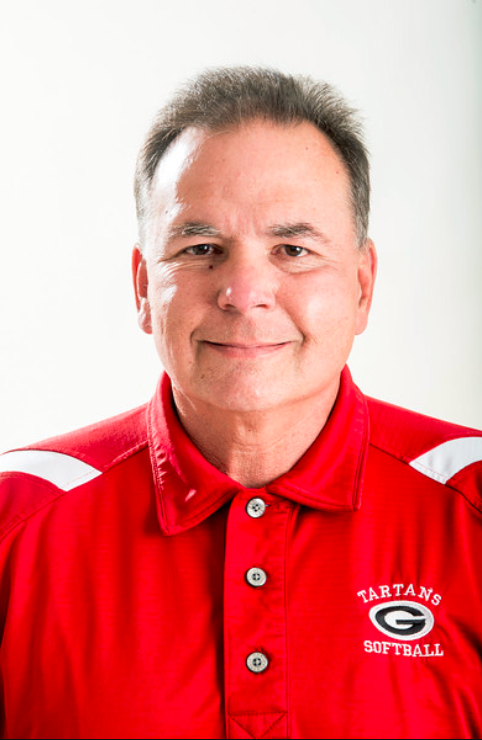 Quiroz made it clear when he took over the Tartans’ program in 2013 that he was interested in developing a program for the long haul, which included everything from changing players’ mindset to having assistant coaches that were engaged. 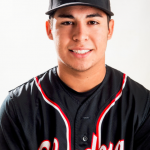 Glendora had won just seven games the season before Quiroz and it struggled his first two years on the job, going 11-14-1 last year. But that changed dramatically in 2015, with Glendora finishing 22-7 while capturing the Palomares League title and advancing to the second round of the CIF-Southern Section Division 2 playoffs. For his efforts, Quiroz has been selected the Tribune softball coach of the year. “When I got the job the biggest thing was we had a lot of talent but the kids weren’t pulling the rope the same way,” Quiroz said. “Everyone had their own agendas, so it’s taken time to get everyone on the same page and believing that high school softball matters. 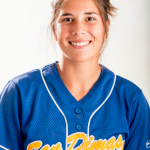 Lindsey Hughes, Pitcher, San Dimas, Sr. 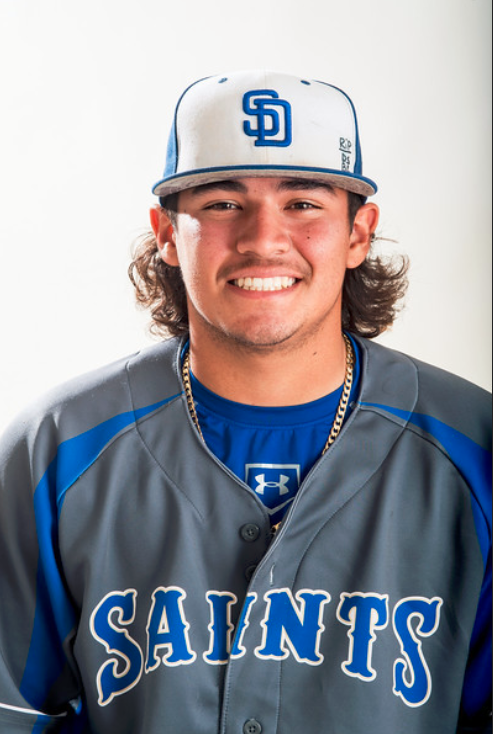 The Valle Vista league most valuable player and Division 5 first-team selection led the Saints to the Division 5 semifinals, losing 2-1 in eight innings to eventual champion St. Bonaventure. Hughes, who is headed to Stony Brook University in New York, was fantastic offensively and defensively. In the circle she finished 12-7 with a 1.80 ERA with 124 strikeouts in 101 innings. At the plate she batted .364 with 31 RBIs and six home runs. 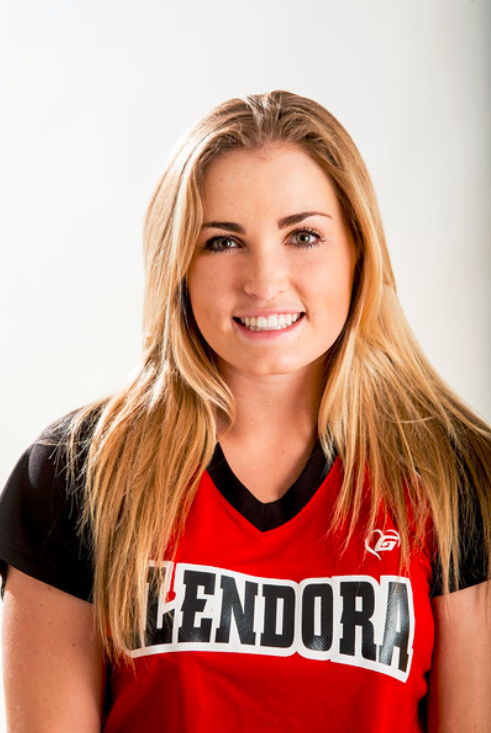 Cambria Keefer, Pitcher, Glendora, Jr. The Palomares league most valuable player and Division 2 first team selection verbally committed to Rutgers and had a breakthrough junior season in leading the Tartans to the league title. Keefer led the Tartans to the second round of the Division 2 playoffs, finishing 12-6 with a 1.63 ERA with 142 strikeouts in 133 innings. She also had four complete game shutouts. 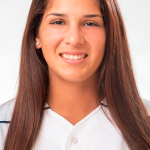 Jenna Rodelo, Catcher, Rowland, Jr. The lone bright spot on a Raiders team that struggled with her consistent hitting and solid defense behind the plate. Rodelo was named to the Division 5 and Valle Vista league first team. This is her second straight all-area first selection, batting .591 with 43 RBIs, eight doubles and seven home runs. 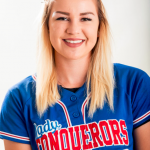 Celeste Wood, Utility, Los Altos, Sr.
One of the best all-around players in the area is headed to Michigan State after earning her second straight all-area first-team honor to go with her second straight Hacienda League first-team selection. In the circle she finished with a 2.88 ERA, and offensively, she batted .500 with 12 RBIs and two home runs. 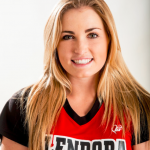 Randi Farricker, Infielder, Glendora, Jr. 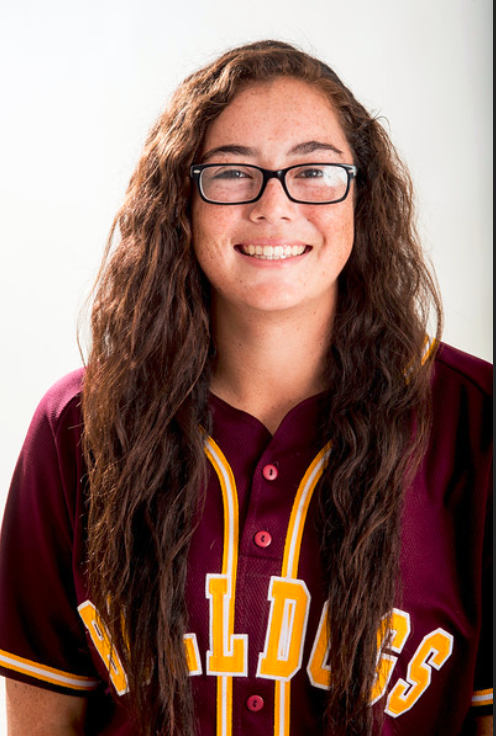 Already verbally committed to Arizona State, the junior showed why with consistent hitting throughout the season to earn Palomares league first-team honors in helping her team to the league title. She batted .500 with 21 RBIs, nine doubles and two home runs. She had at least a hit in every game but four. 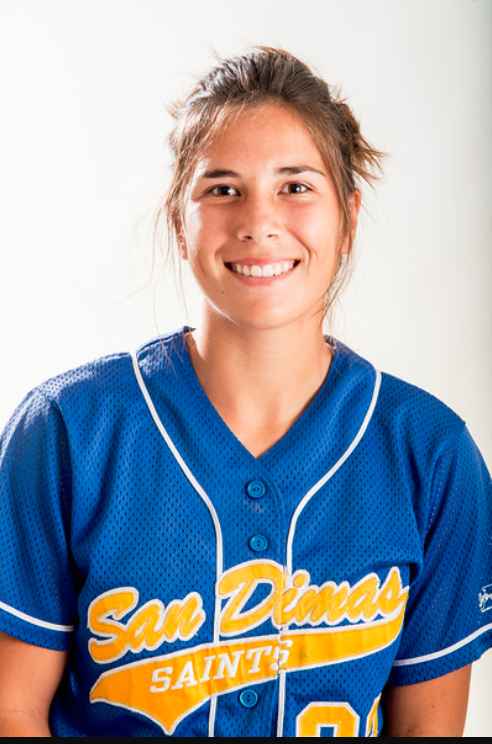 Ashley Diaz, Infielder, South El Monte, Sr.
Named the Mission Valley League most valuable player for the second straight season while also earning Division 5 first-team homnors. 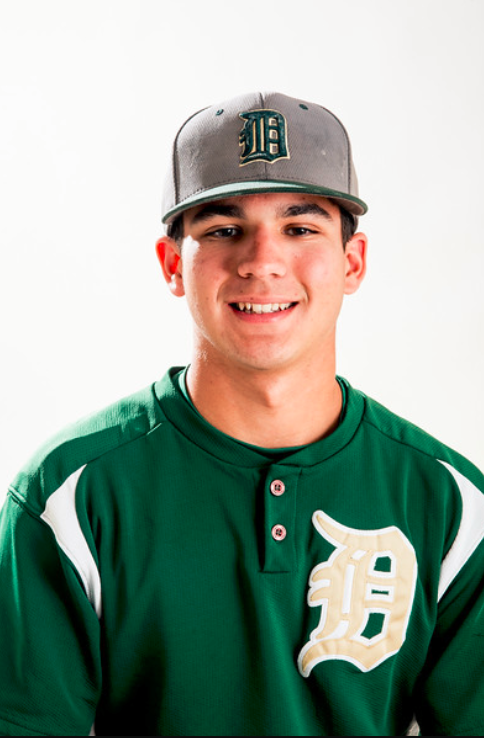 This is the shortstop’s second straight first-team all-area selection and an easy choice. The University of Arkansas commit was spectacular again, batting .561 with 42 RBIs, 10 home runs and nine doubles for the MVL champions. 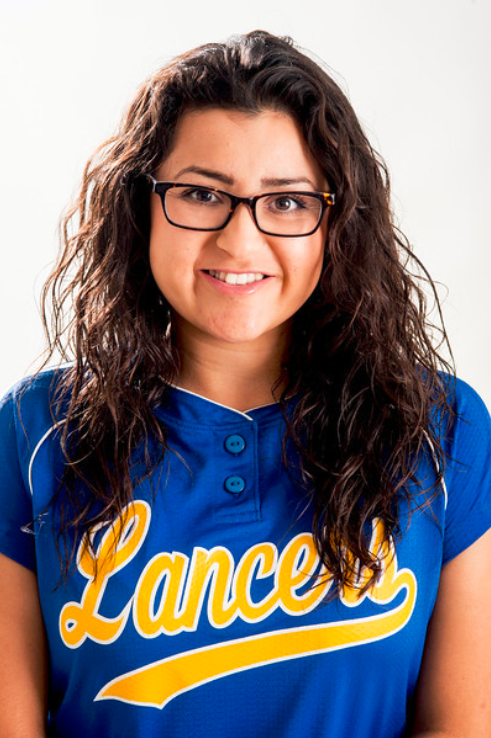 Mandy Larios, Infielder, Bishop Amat, Sr. The Lancers’ sure-handed shortstop helped her team reach the Division 3 semifinals and earned Del Rey League first-team honors. Headed to Arizona Western, she batted .387 with 25 RBIs. Her best moment of the season came in a thrilling 4-3 victory over Burbank in the quarterfinals. Trailing 3-0 going into the seventh, it was Larios’ two out, two-run single that gave the Lancers a 4-3 walk-off victory. 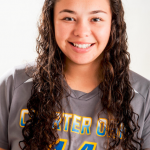 Christine Pinela, Infielder, Charter Oak, Sr. The Chargers’ third baseman had a sensational season in the tough Hacienda League, helping her team to a co-league championship with Chino. Headed to Azusa Pacific University, Pinela was named the Hacienda League most valuable player and also was selected to the prestigious Division 1 first team. She batted .379 with 18 RBIs, 10 doubles and two triples. 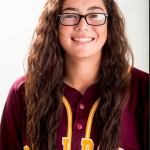 Jade Nua, Outfielder, West Covina, Sr. 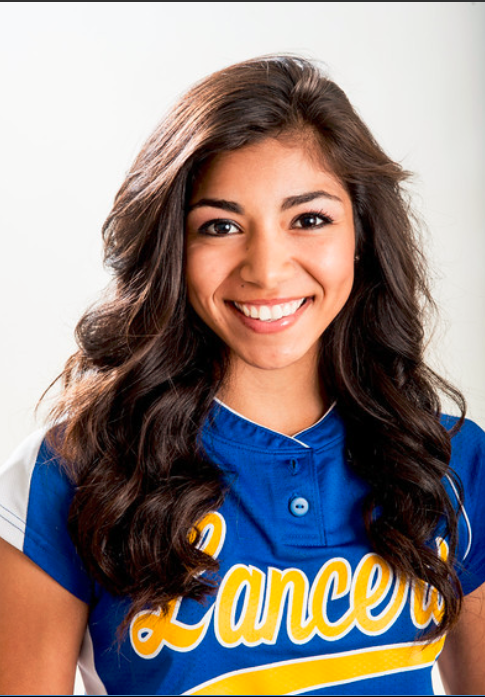 The Hacienda League first-team selection was one of the best hitters in the area. She batted .516 with 25 RBIs, four home runs and six doubles. Her most memorable game came early in the season when her three-run homer led to a 5-3 win over Charter Oak to claim the San Dimas tournament title. 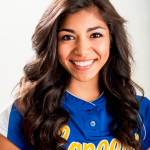 Alyssa Barrera, Outfielder, Bishop Amat, Jr. 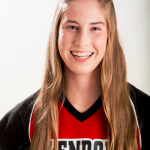 The speedy centerfielder is arguably the best defensive outfielder in the area, earning all-area first-team honors for the second straight year as well as her second straight Del Rey League first-team selection. 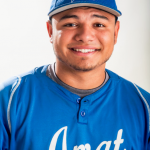 Barrera, who helped lead Amat to the Division 3 semifinals, was a tough out, batting. 458 with 30 RBIs, 15 doubles and four home runs. 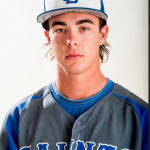 Kaile Chavez, Outfielder, Charter Oak, Sr. 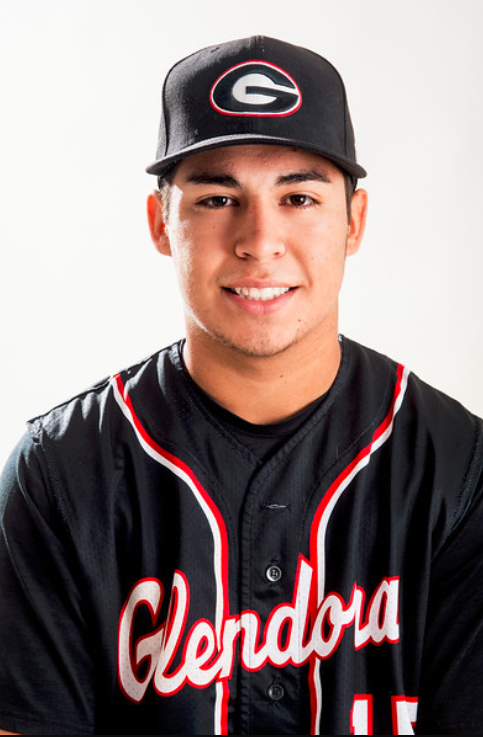 The do-it-all Chavez earned Hacienda League first-team honors for the co-league champion Chargers. The power hitter batted .301 with 20 RBIs, six home runs and six doubles. She also was a force in the circle, going 6-4 with a 2.9A ERA. 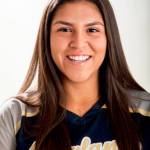 Pitcher: Alexis Vargas, Bishop Amat, Jr.
Pitcher: Princess Nava, Covina, Sr.
Utility: Caitlyn VanHemelryck, South Hills, Sr.
Catcher: Nicole Gutierrez, West Covina, Jr.
Infielder: Ciara Granado, Edgewood, So. 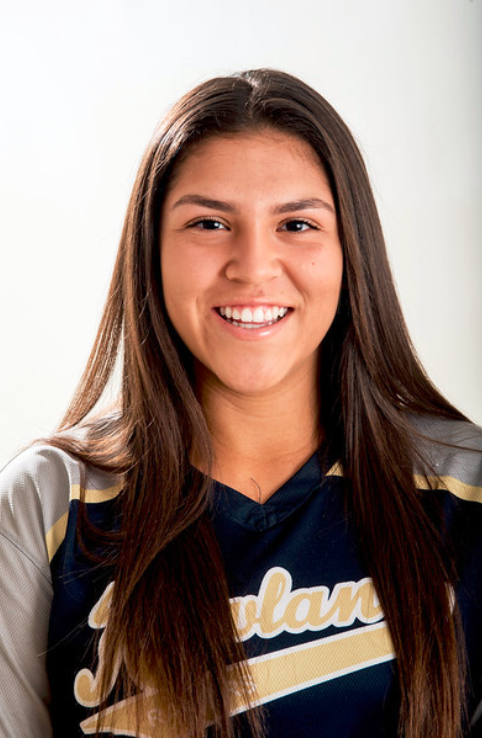 Infielder: Britney Orozco, Northview, Fr. 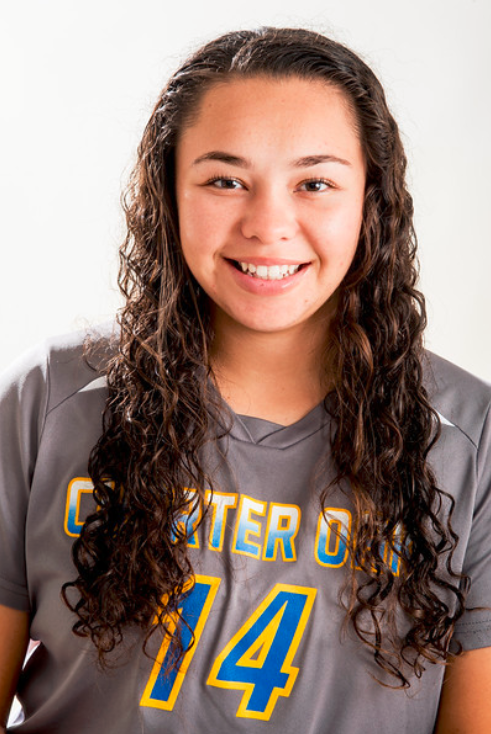 Infielder: Marissa Chavez, Charter Oak, So. 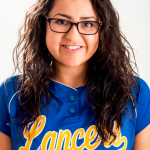 Infielder: Angelica Ochoa, Sierra Vista, Sr.
Outfield: Brooke Jackson, San Dimas, So. 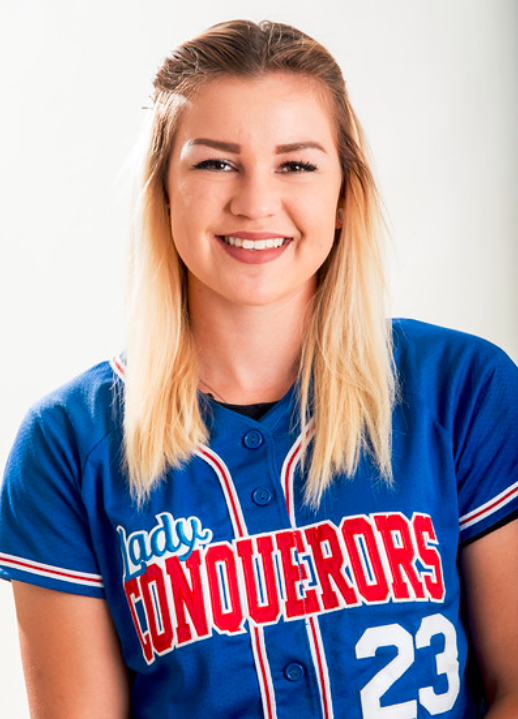 Outfield: Kayla Sok, Glendora, Sr.
Outfield: Christie Aguilar, South Hills, Jr.
Mike Regan has had a lot of good players in his 16-year tenure at San Dimas. But few, well none, have been as dominant as senior right-hander Peter Lambert was this season.Lambert was nothing short of spectacular. He had 13 starts and completed nine of those. Five were shutouts and he allowed only four earned runs and managed 113 strikeouts in 83 innings for a miniscule ERA of 0.43. And that’s just what he did on the mound. He also hit .295 and came up with some clutch hits, excelling at shortstop when not on the mound. 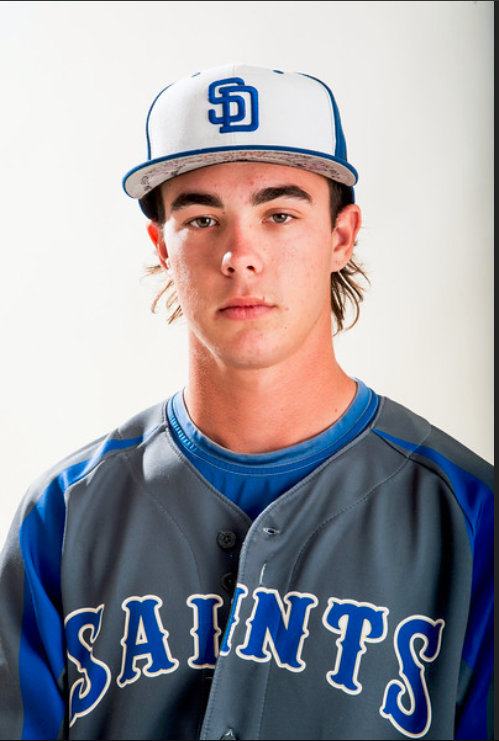 Lambert, who led the Saints to a San Gabriel Valley record 31 straight wins before a semifinal loss to Walnut, was named the San Gabriel Valley Tribune baseball player of the year. He also was named the CIF Southern Section Division 3 player of the year and was named Most Valuable Player in the Valle Vista League for a second time, sharing that award with teammate Jacob Castillo. Lambert has signed with UCLA but has a choice to make. 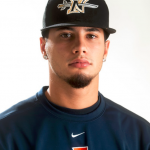 He was drafted by the Colorado Rockies in the second round with the 44th overall pick in the draft. Regan said it was the highest any player from the school has been selected. He had about two dozen or so major league baseball scouts in attendance every time he took the mound. Learning how to deal with that was part of the process. Acosta, who is in his third year as the Mustangs’ head coach, but who has been an assistant involved with Mustangs baseball for over two decades, knew what the school’s magical run to the CIF-Southern Section Division 3 finals meant during their quarterfinal victory at home. The Mustangs had just beaten Quartz Hill when Acosta peered over at Karla McKenzie, the Mustangs’ longtime booster. After starting 3-7-1, Walnut won 18 straight, which included winning the Hacienda League, the school’s first baseball league title since 1996. But the biggest moment of the season came in the Division 3 semifinals. Walnut reached the championship in the most unexpected way, knocking off undefeated and USA Today No. 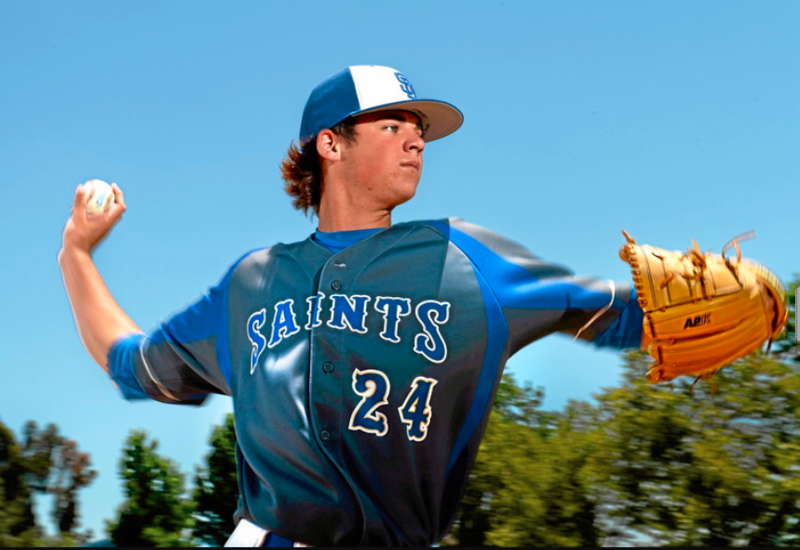 1 San Dimas, 4-1, in the semifinals, to give the Saints their lone blemish, finishing 31-1. Walnut’s rally cry on social media, #WhyNotUs, had become reality as it advanced to its first championship game since 1982. 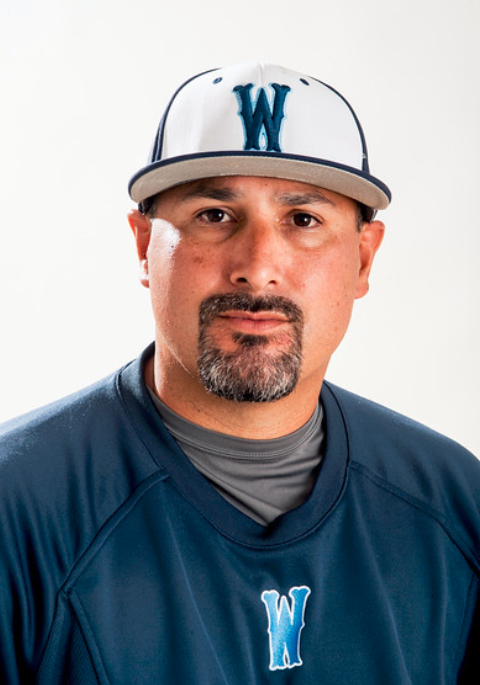 Walnut lost 10-0 to Redondo Union in the championship, but the surprising season that few expected was more than enough to earn Acosta San Gabriel Valley Tribune baseball coach of the year honors. “For the rest of their life they’ll be able to tell the story and tell their kids how they beat San Dimas, how they knocked off a 31-0 team,” Acosta said. And the reward is respect. 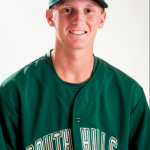 Named the Palomares League most valuable player and also earned Division 2 first-team honors. 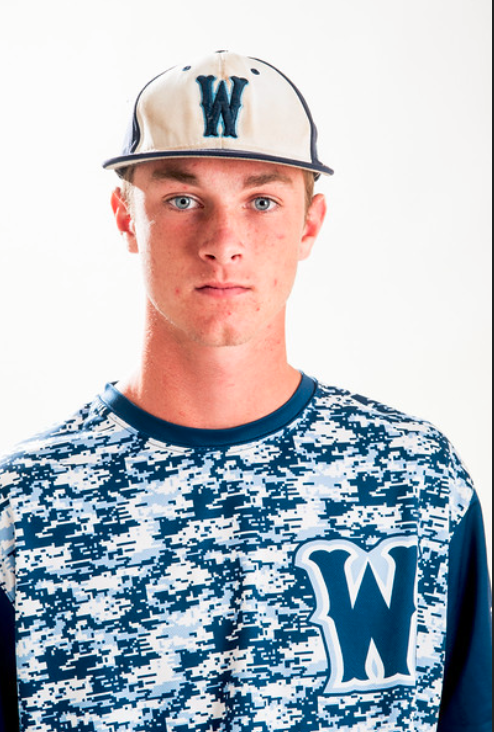 The Long Beach State commit was sensational for the Huskies finishing undefeated with an 8-0 record with an impressive 0.76 ERA in 55 innings, allowing just six earned runs all year. 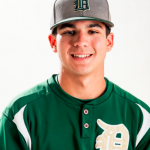 His best performance came down the stretch with a 1-0 complete game shutout over Bonita, allowing just four hits. A clutch performer on a team that shocked previously undefeated San Dimas in the semifinals to advance to the CIF-SS Division 3 championship game. Dye, named the Hacienda League most valuable player and a Division 3 first-team selection, finished 8-1 with a 0.68 ERA with 70 strikeouts in 60 innings. He was undefeated until losing his only game in the Division 3 championship. 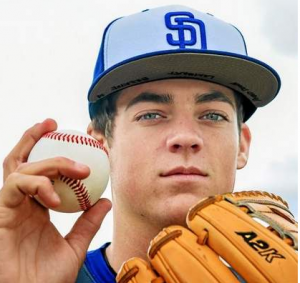 The co-most valuable player from the Valle Vista League and a Division 3 first-team performer is a San Diego State commit who was brilliant all season whether pitching or playing shortstop. 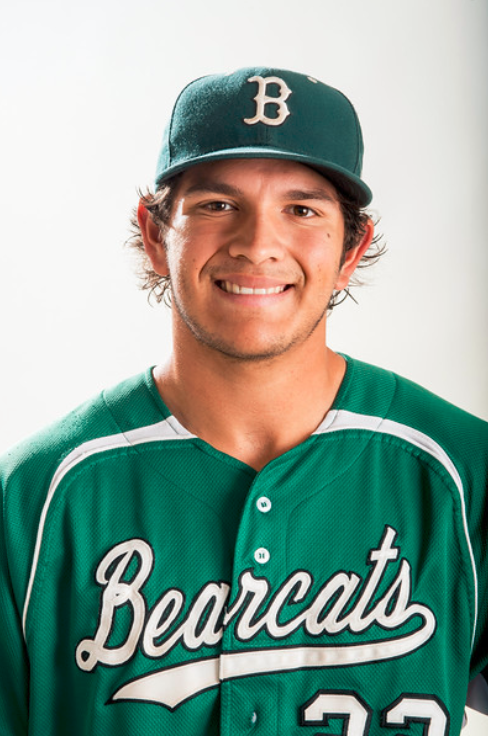 On the hill Castillo was 11-1 with a 0.43 ERA with a 119 strikeouts in 82 innings. He also batted .341 with four doubles and 16 RBIs. 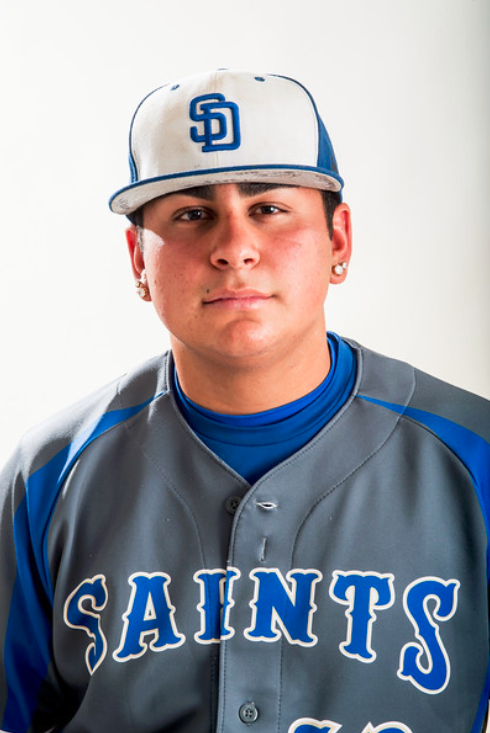 In the Saints’ Division 3 second-round win over Garden Grove (17-0), Castillo threw a no-hitter with 13 strikeouts. 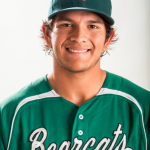 In addition to being a strong defensive presence behind the plate, Gomez was a big offensive threat in earning Palomares league first-team honors for the Division 3 quarterfinalists. He batted. 402 with a team-leading 29 RBIs with 20 runs scored. He also led the team with eight doubles to go with a triple and home run. Was named to the Division 2 first team while also earning Palomares League first team honors for his consistent offense and defense. The first baseman helped the Tartans capture the league title with a smooth-swinging bat. The 6-foot-3, 210-pounder batted .416 with a team-leading 25 RBIs. He also had eight doubles, a triple and 13 multi-hit games. 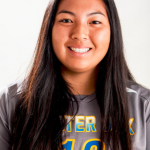 One of the best age-group players in the Southland, Amaya already has given a verbal commitment to NCAA Division 1 power Cal State Fullerton. The shortstop was one of the few bright spots for the Vikings, batting. 515 with with 21 RBIs and 26 runs scored. In the power department he belted 12 doubles with three home runs and three triples to earn Valle Vista league first-team honors. Acuna was the Saints’ best offensive weapon while also playing third base the second half of the season. Acuna, named to the Valle Vista League first team, batted .529 with 25 RBIs and eight doubles. 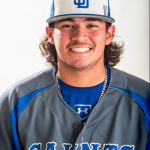 His only home run came in the regular season finale against Wilson, belting a three-run homer in the fifth inning to keep the Saints’ undefeated season alive in a come-from-behind 3-2 victory. 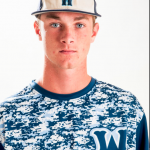 At 6-foot-2, 210 pounds, the third baseman who already has verbally committed to Vanderbilt is one of the top players in the country for his age group. 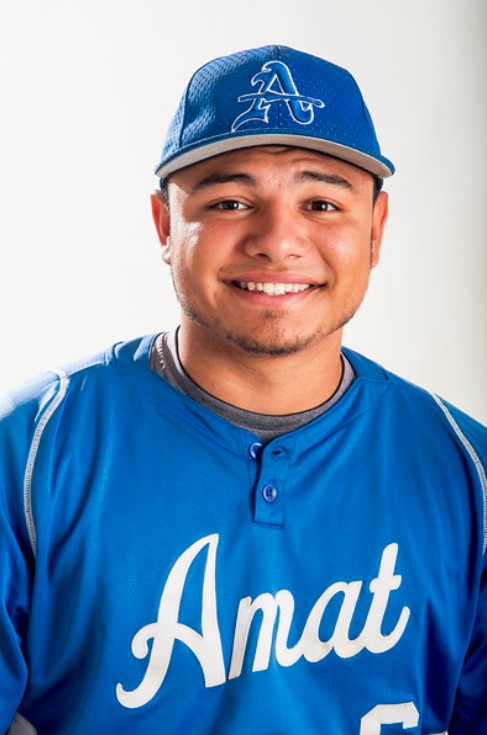 He had a productive season for Amat, which tied for the Del Rey League title and advanced to the Division 3 semifinals. 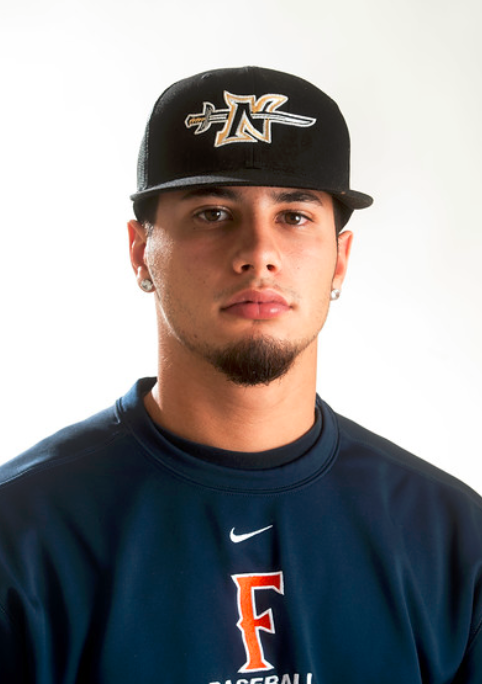 Gonzalez, a first-team all-league selection, batted .415 with 17 RBIs, five doubles, three triples and two home runs. Named to the Del Rey League and Division 3 first team after helping his team share the league title and advance to the Division 3 semifinals. 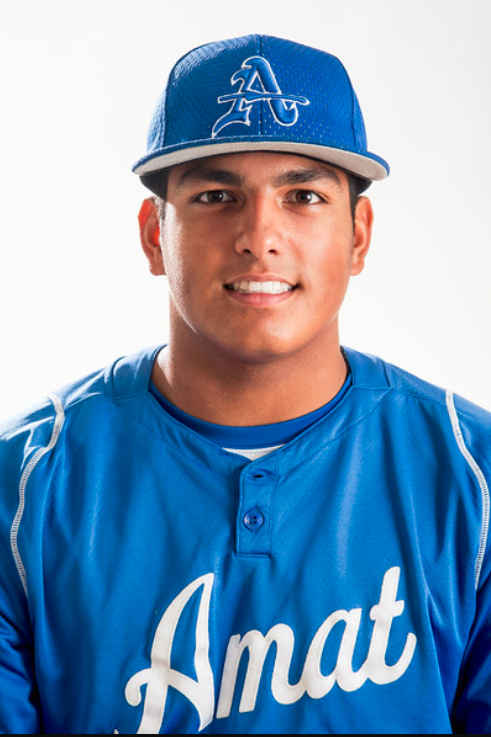 Robles, who is heading to Cal State Bakersfield, was a big performer at the plate. He batted. 373 with 15 RBIs, four home runs, three doubles and two triples. 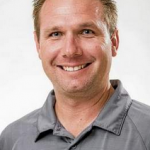 Was one of the best run-producers for a Saints team that finished 31-1 and advanced to the Division 3 semifinals before losing its only game of the season. The Valle Vista league first-team performer batted .322 with 23 RBIs while also scoring 20 runs. Longtin also was considered one of the area’s best defensive outfielders. The Baseline League first-team selection helped the Spartans earn a playoff spot down the stretch, which the Spartans used to upset Palomares league champion Glendora in the first round of the CIF-SS Division 2 playoffs after winning a wild-card game to advance. Benedict batted .386 with 18 RBIs, 12 doubles and four home runs. Pitcher: Austin Isenhart, Glendora, Sr.
Pitcher: Isaac Esqueda, Bishop Amat, So. 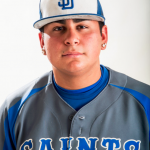 Utility: Anthony Guardado, Nogales, Sr.
Catcher: Nick Valdez, Bishop Amat, Jr.
Infielder: Brennan McKenzie, Walnut, Jr.
Infielder: Frank Ramirez, South Hills, Sr.
Infielder: Anthony Franco, Baldwin Park, Sr.
Infielder: Jonathan Hurtado, Arroyo, Sr.
Outfield: Griffen Herrera, Glendora, Jr.
Outfield: Alex Carrillo, West Covina, Sr.
Outfield: Brandon Buna, Rowland, Sr. The 2015 high school sports season is over. 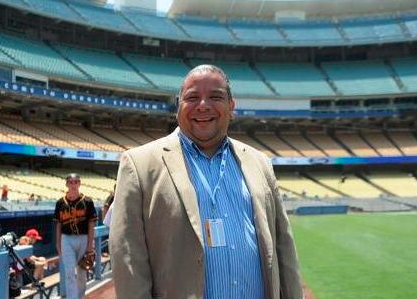 For people like Fred Robledo, Aram Tolegian, Steve Ramirez and others, when a season begins, you hope for storylines. The ones that keep you on the edge of your seats. In 2014-2015, there were plenty of storylines that kept area fans on the edge of their seats. Bishop Amat football fans can attest to that. The November playoff drive will be talked about for ages. After losing to Crespi in October, the Lancers proceeded to make an improbable run that saw them win a share of the Mission League title and come within 2 yards of playing for a Pac-5 championship. While some questioned whether the Lancers belonged in the most competitive division in football in the United States, the Lancers didn’t “listen to the noise” and gave their fans memories that will be talked about for ages. Speaking of subjects that will be talked about for ages, Damien High School basketball fans will smile and give that wink of an eye when you talk about the season. Their basketball team won the school’s first CIF-State championship. When you do stuff like that, people take notice. The people at St. John Bosco HS did, and basically made an offer that Damien head coach Matt Dunn couldn’t refuse. He went off into the sunset, trading in his green and gold of Damien for navy blue and gold of the Braves. If that wasn’t enough to make you scratch your head, here’s another one. 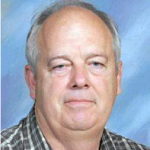 If there was a marriage of a coach that was the bedrock to a team and a program in the San Gabriel Valley, it was basketball coach Mike LeDuc and Glendora High School basketball. For 35 years, they were two to the hip. It was LeDuc, such a tall thrashing presence you had to make sure you were not looking at Tom Selleck, that helped launch the basketball careers of Tracy Murray and Casey Jacobson. You want to see the results of his work, just stop by the Glendora HS gym, his works of art are littered all over the gym with banners. Kayla Richardson was injury-free and fast in 2015. The Walnut High School junior won a pair of CIF Southern Section championships and advanced to the CIF State meet. The effort earned her Tribune track and field Athlete of the Year honors. 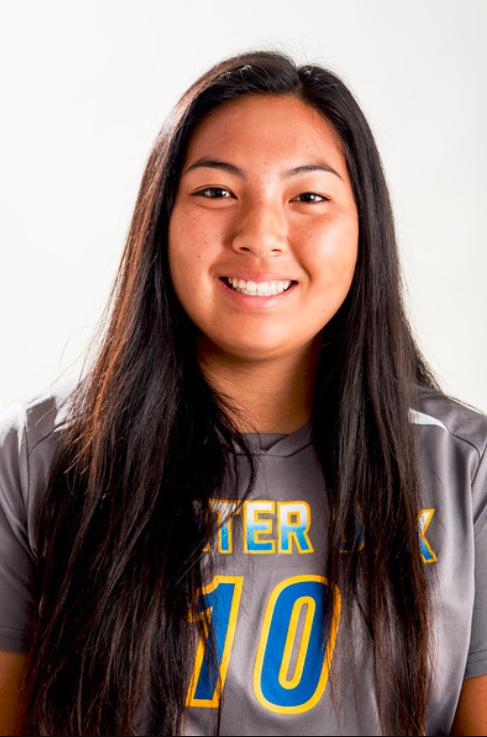 “I’m meant to compete at this level and I’m glad for how I did,” she said of her CIF-SS victories. Richardson had the fastest times in the 100 meters (11.65), 200 (23.45) and 400 (56.53) in the San Gabriel Valley this season. She won CIF-SS Division 1 titles in the 100 and 200, running that season-best 11.65 in the 100 and a wind-aided 23.45 in the 200. A key was fewer short races this season. Richardson ran only three 100 races until the Hacienda League finals. She won that meet in a wind-aided 11.86. She finished the high school season running eight 100s, but failed to compete in the CIF State finals despite having the preliminary meet’s No. 5 time, her fastest of the year. She also did not compete in the state 200 despite qualifying fourth in that event. Richardson decided to compete in the Asian Southeast Games in Singapore and left Fresno after the Friday qualifying meet to catch a flight. She won the 100 and was second in the 200 while running for the Philippines. Richardson also helped the Mustangs win the 4×100 relay and qualify for the state meet. They finished 14th and did not advance to the finals. She broke her own school records in the 100 and 200 and the relay team also set a school record. Staying away from the sprints earlier in the season helped Richardson avoid late-season injuries. Walnut High School had one of its biggest contingents in the CIF Southern Section Finals meet in recent seasons. The Mustangs, who had a top team finish in the CIF-SS meet, did it with just four athletes: Kayla Richardson, Malia Avila and a 4×100 relay team that included both athletes. 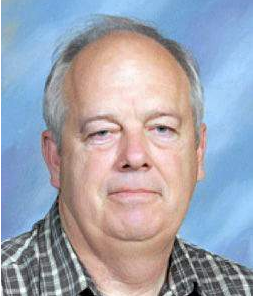 Thompson earned Tribune Coach of the Year honors as a result. Richardson advanced to the CIF State meet in the 100 and 200 and the junior, Avila, Kyla Richardson and Victoria Sandoval competed on the relay team. Two Walnut boys also competed in the state meet in Clovis. In the Hacienda League finals, the Mustang girls won every running event. There is a stigma with being a sophomore athlete. The knowledge is there, but the performances don’t always match that knowledge. Damien High School’s Zach Shinnick defied that stigma on the track this past season. The sophomore was beyond consistent. He was more like a master clock. Enough to earn Athlete of the Year honors. Seven times this season Shinnick ran a 400-meter race faster than 48 seconds. 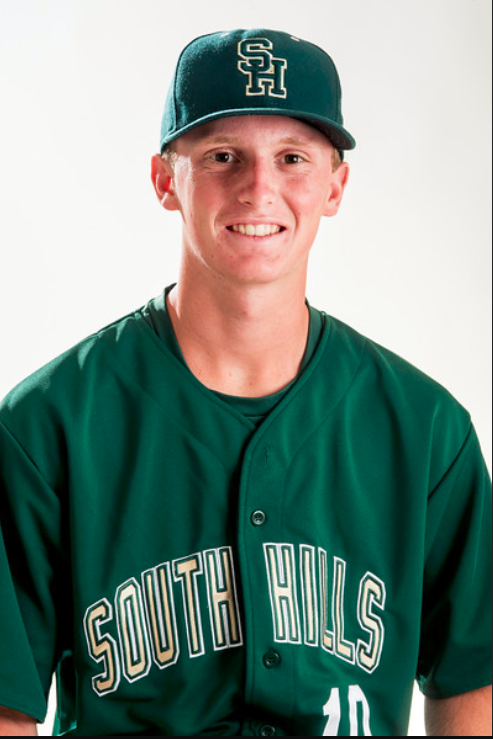 Although his last victory was in the Baseline League finals, Shinnick had a huge postseason. He finished second in the CIF State 200 finals and third in the 400 finals. Shinnick finished third in the 200 and 400 CIF Southern Section finals, getting a personal-record time of 21.09 in the 200, although he had a 2.3 meters-per-second tailwind. His times in both events kept improving. He finished second in the state meet in a wind-legal time of 21.10. He was third in state in the 400 in a personal-record 47.19. Those performances earned him Athlete of the Year honors. For almost all of the season, Shinnick anchored the school’s 4×100 relay team. That squad finished third in the CIF-SS divisional finals in a season-best 41.73 and qualified for state. But senior sprinter Thaddeus Smith, who ran the team’s second leg and was entered in the state 100 and 200, was injured in the relay race. The team still made it to the finals and finished eighth with Shinnick running the second leg. He also ran the anchor leg in the 4×400 relay, which finished third in the CIF-SS finals in 3:20.21. Although Shinnick ran 13 400 races this season, coach Mike Williams said he tried to keep his sophomore from running so many. So he put him in some 100-meter races. Shinnick had a best wind-aided time of 10.55 at the Mt. SAC Relays. He had a best wind-legal time of 10.70. He finished ninth in the CIF-SS finals as a freshman in the 400. Having two of the best sprinters in Southern California is good start to having a successful season. Throw in a middle-distance runner and a few field athletes and a track coach can take a team a long way in postseason competition. Williams was able to put together a solid supporting cast for standouts Zach Shinnick and Thaddeus Smith to help earn Williams Coach of the Year honors. The pair advanced to the CIF State Championships and they helped lead the Spartans’ 4×100 relay team to the state meet, too. Damien finished second in the CIF Southern Section Division 3 team competition and eighth in state. They lost Smith for the state finals to injury and still managed to put together a big finish with a quick replacement team. Check it out as Maxpreps’ preseason high school football rankings counts down to No. 1. 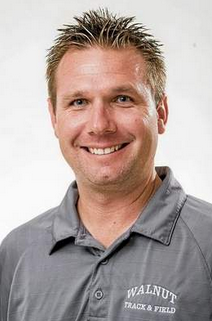 Bishop Amat, which is expected to compete for a CIF-SS Pac-5 Division title, is profiled at No. 24.